What are the Top Tips to Find the Best Dentist Near Me? Your dental needs are constantly changing. While you may only need preventive care right now, in the future, you may need restorative services or an area of specialty, like periodontal therapy. When choosing an Eugene dentist, look for those that offer an array of services from one location. By doing so, you will help to ensure that all your needs are met from one dental team, preventing the need to be referred to another location to maintain your oral health. The services you receive from a dentist are supported by their training and qualifications. 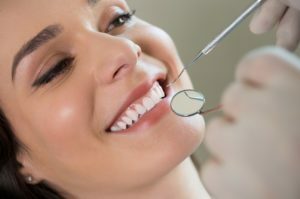 Look for a dentist who not only completed their dental degree, but one who has also taken the initiative to complete additional training as well. In addition to qualifications and training, choose one who is an active member of various dental organizations, like the American Dental Association. To gain a deeper insight into your new dentist, look for online reviews and testimonials from past and current patients. By reading them, you will learn more about the chairside manner and level of care you can expect to receive. This will help to ensure that the one you choose is the right fit for your needs and comfort level. Not all dentists can provide you with the results you want, such as when needing a cosmetic procedure. To ensure you are not left disappointed, look at the dentist’s smile gallery, which features before and after images of real patients. When viewing them, look to confirm that they are not stock photos or photoshopped, so you can be sure that you are looking at real results. On average, only 50% of adults visit their dentist each year. This is often due to financial burdens. To ensure the services you need stay within your budget, choose a dentist who will work with your insurance company to file the necessary claims to help you maximize your benefits. In addition, look for flexible payment options and financing opportunities to make paying for your treatments easy. When it comes to choosing a dentist, there is no “one size fits all” location. Take the time to consider all your options to choose the best one for your individual needs. Dr. Ben A. Sutter is a trusted dentist who delivers advanced dentistry to help promote optimal oral health. With a wide range of services, extensive qualifications, and a positive reputation, he is the trusted dentist in the area for complete care. If you have any questions about our dental office, please contact us today to get the answers you need.